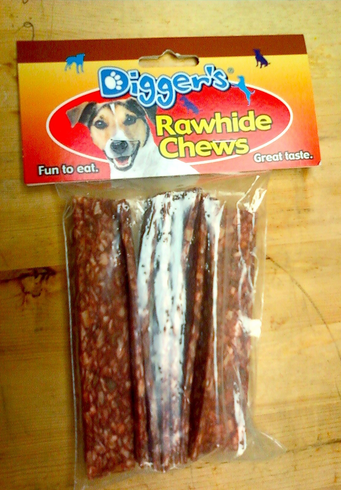 These tasty rawhide dog treats are great for on the go. They're thin enough to snap smaller pieces off, which is great for training, or for smaller mouths. Each pack includes ten 5 inch strips of yummy rawhide.